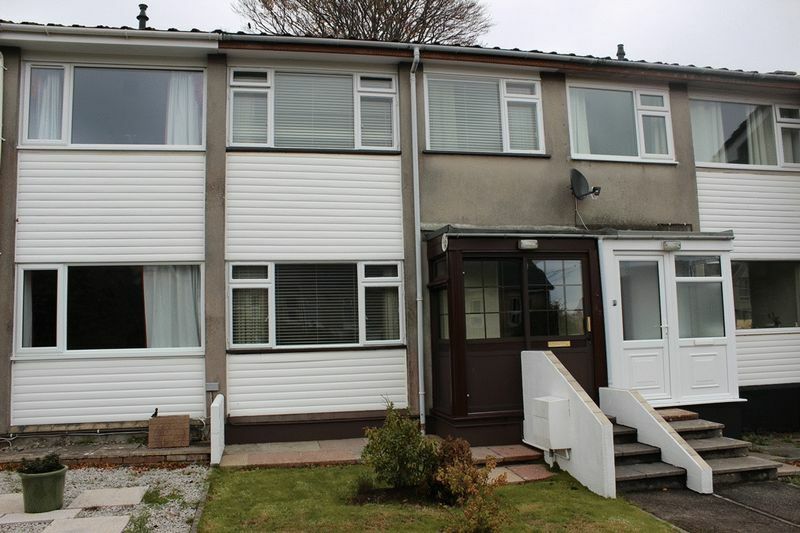 This is an appealing and well proportioned two bedroom modern terraced house, occupying a south facing position with good front and rear gardens, hard standing parking for two vehicles and garage, occupying a convenient and established location on the fringe of the town. 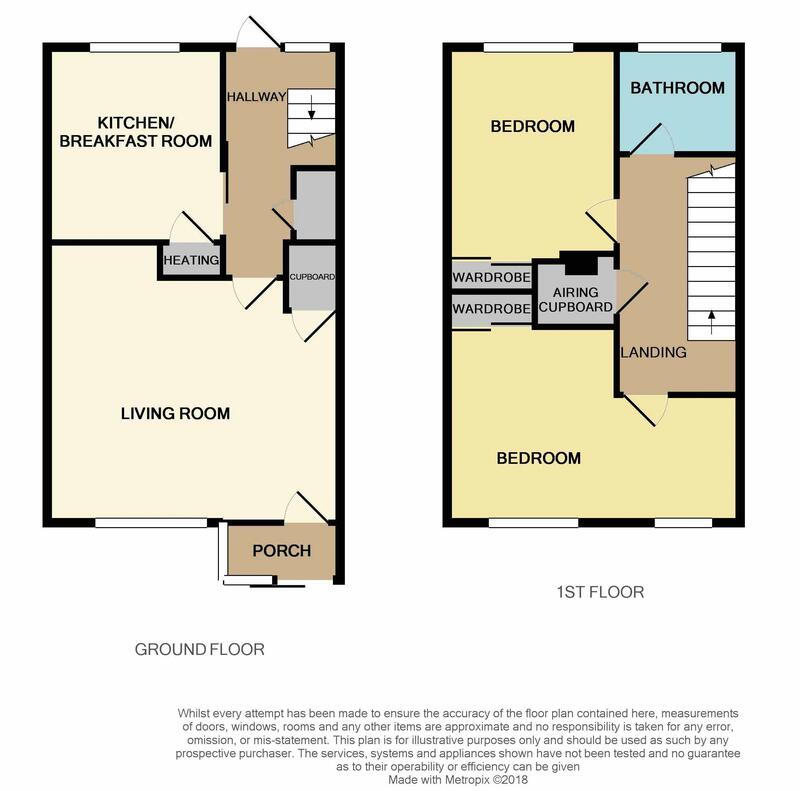 Currently providing two good size bedrooms, the property was originally a three bedroom layout and reinstatement could be possible. 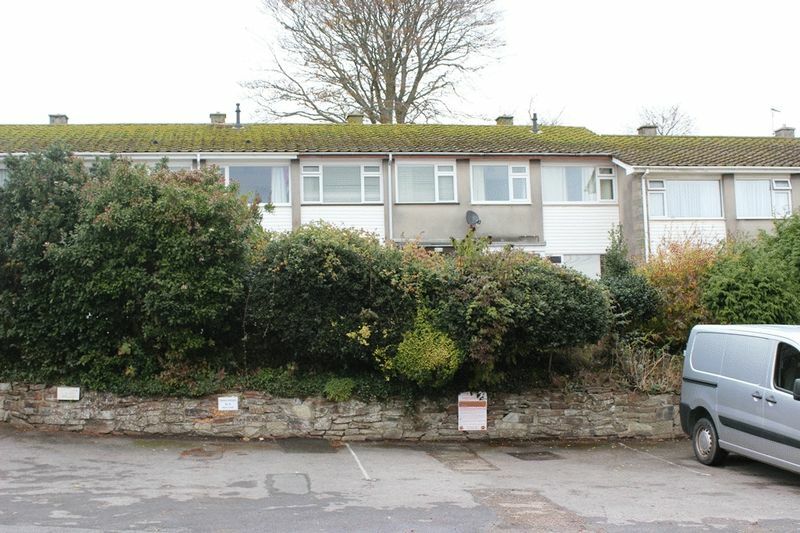 The property is offered with vacant possession and scope for some general modernisation/updating, allowing the purchasers to incorporate their own decorative and design ideas. This terrace of properties are set well back from Alexandra Road with immediate parking hard standing, mature shrub divide to south facing front gardens, generous well enclosed rear gardens landscaped for ease of maintenance along with aluminium framed greenhouse and garden shed. Garage located within a block conveniently close by. 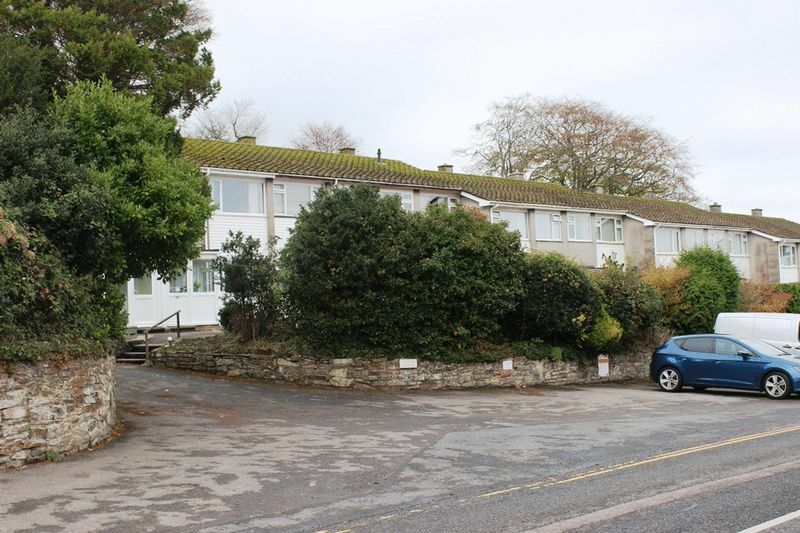 Combining this property's convenient setting, accommodation, gardens and potential, it is anticipated to appeal to a good number of people and early enquiries are advised. Sliding half glazed door to entrance porch. Good immediate reception area, inner glazed door to living room. narrowing to 13'4". Useful built in storage cupboard. 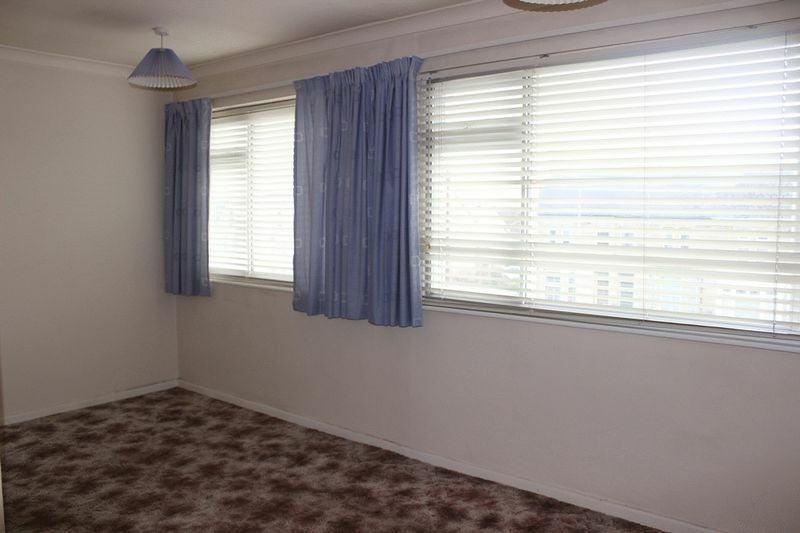 Picture window to front enjoying sunny, southerly aspect with outlook to front gardens and shrubbery. Heating vent. 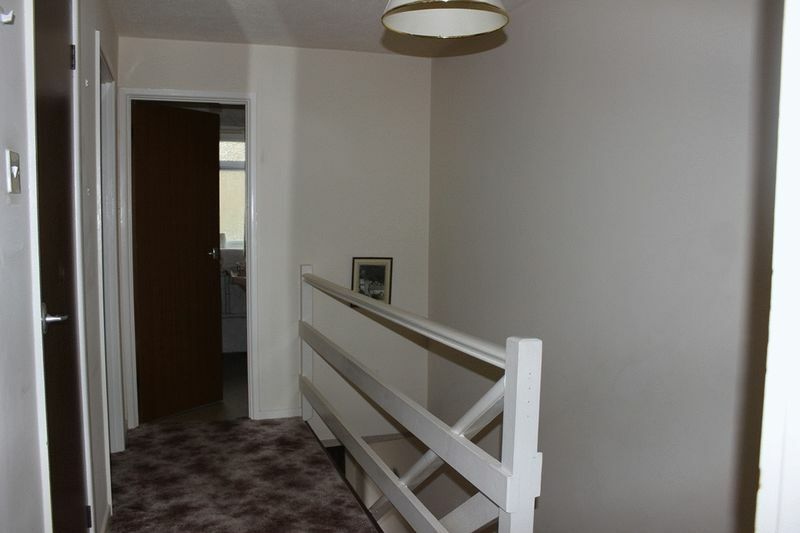 Telephone socket, TV aerial socket, door to hallway. Staircase to first floor with enclosed storage under. Half glazed door and adjacent window to rear. Sliding door to kitchen/breakfast room. maximum including corner built in cupboard housing gas fired heating unit. 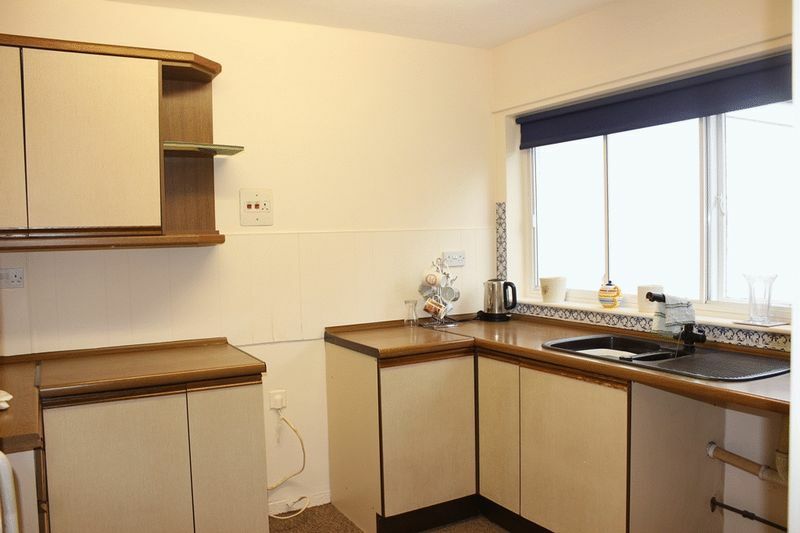 Kitchen fitted with a range of base and wall units providing cupboard and drawer storage, working surface over, incorporating inset sink unit, cooker space with electric cooker panel, space and plumbing for automatic washing machine, further appliance space. Window to rear enjoying garden and wooded outlook. Slat style balustrade to staircase reveal. Deep shelved airing cupboard housing hot water cylinder with immersion. Access hatch to part boarded roof space with fitted loft ladder. 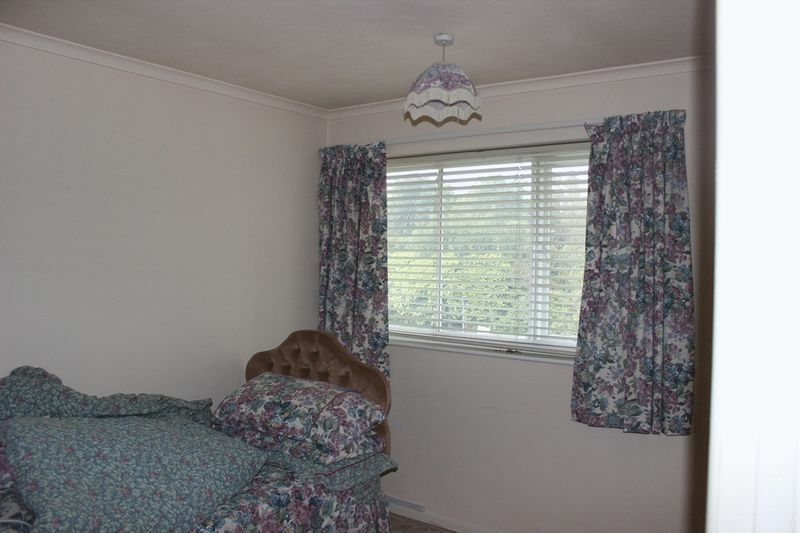 Doors off to both bedrooms and bathroom. narrowing to 6'7". 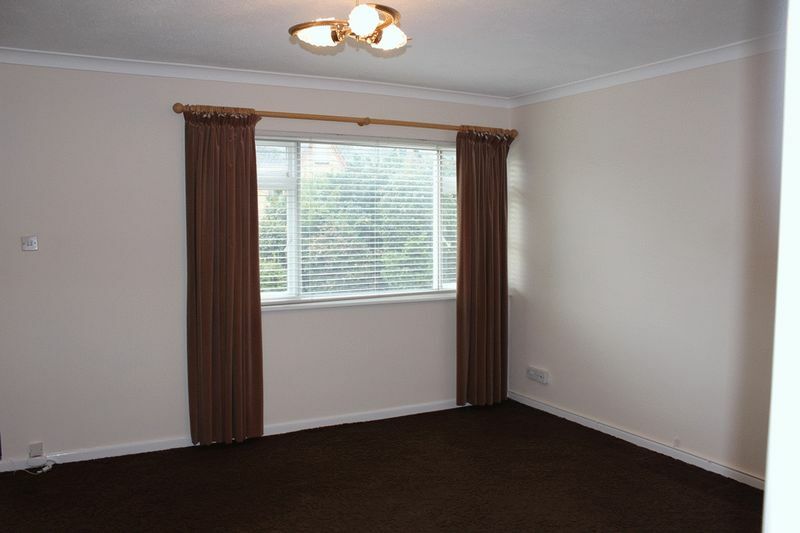 Formerly two bedrooms with possibilities to reinstate. Dual windows to front enjoying sunny southerly aspect. Recessed wardrobe cupboard. Telephone socket. plus recessed wardrobe cupboard. Window to rear enjoying garden and wooded outlook. Full wall tiling. 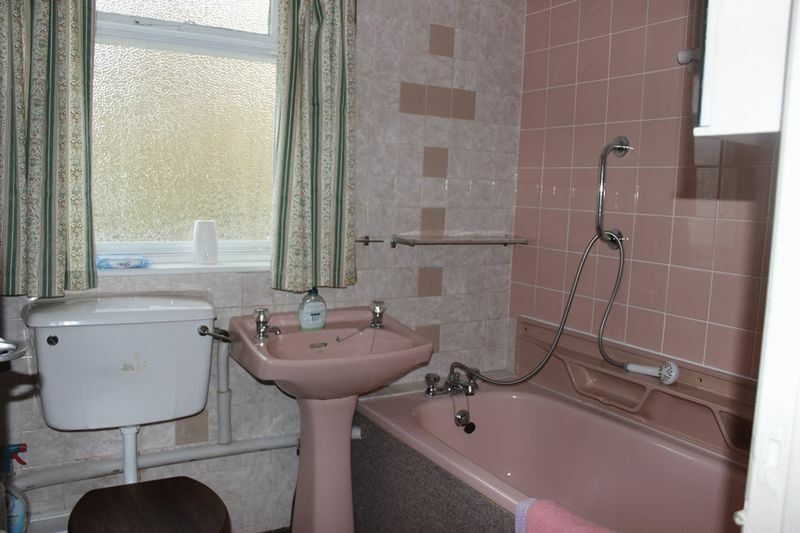 Panelled bath with mixer tap shower, pedestal wash basin, low flush W.C. Radiator. Patterned glazed window to rear. 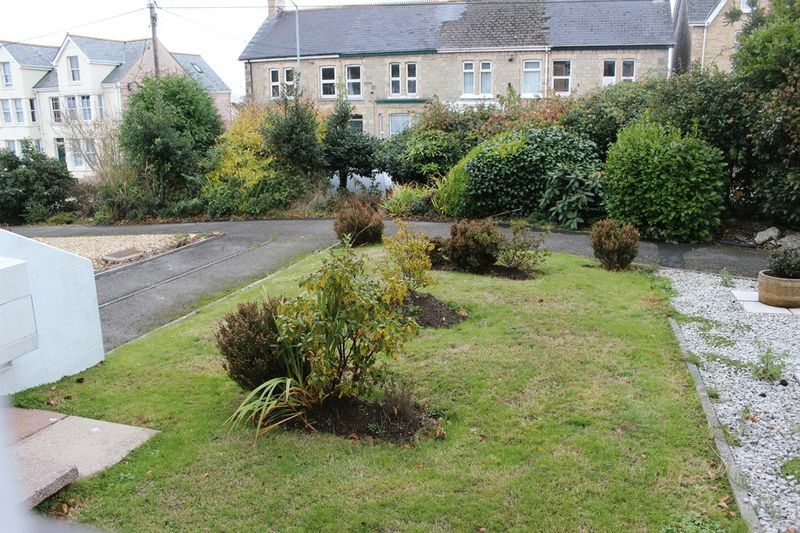 Terrace set back from Alexandra Road, south facing to front, immediate hard standing parking for two vehicles, shrub divide to front pathway serving the terrace with lawn and shrub gardens, pathway to front entrance. 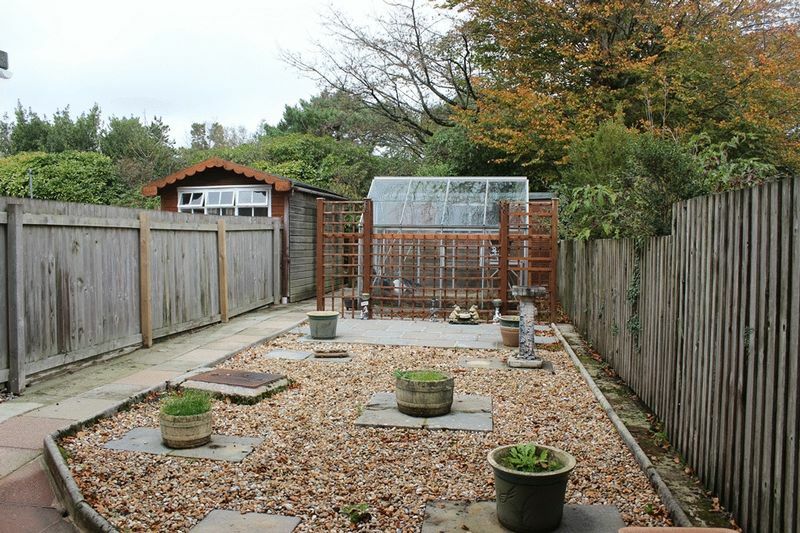 Rear gardens are well enclosed, landscaped for ease of maintenance with immediate paved patio, pebble stone beds and further patio, trellis divide with aluminium framed greenhouse with timber garden shed, well enclosed with fencing to boundaries. Garden tap. Gate to rear pathway with further patio beyond. Metal up and over door. 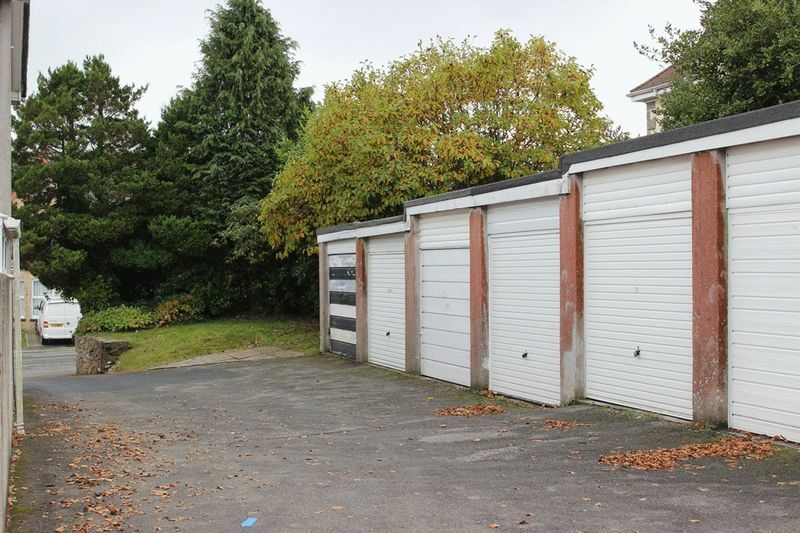 Located within a block of garages to the end of the terrace.